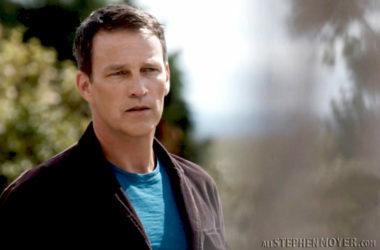 Below are a couple of photos on the set of Stephen Moyer’s new series, Save House which is currently filming in Merseyside, England. 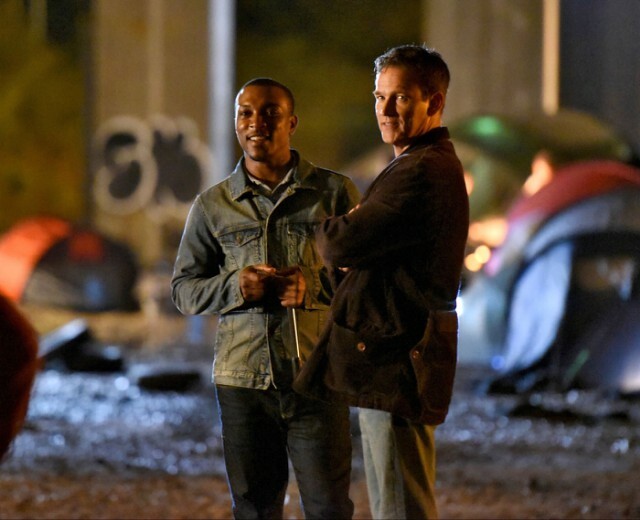 Stephen Moyer is seen below with actor Ashley Walters as they work the night shift on the set of the ITV drama on August 22. 2016. The drama is currently filming scenes for its upcoming second series. 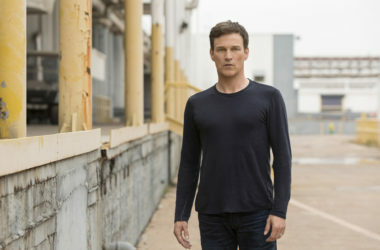 Stephen Moyer is pictured filming with actor Ashley Walters as they work the night shift on the set of the ITV drama ‘Safe House’ in Merseyside, England on August 22. 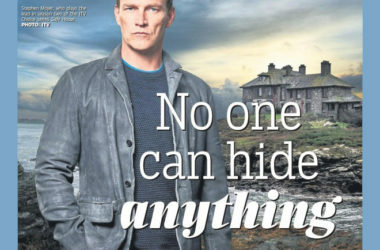 In the new series of Safe House, Stephen Moyer plays ex-police officer Tom Brook who runs a police safe house on the Anglesey coast with his partner, Sam. Sam is played by former Mr Selfridge star Zoe Tapper. Their world is turned upside down when news of a shocking crime breaks. Years previously Tom investigated a series of abductions perpetrated by an assailant known as ‘The Crow’, who took wives away from husbands as they helplessly watched. The series also stars Dervla Kirwan, Jason Watkins, Sunetra Sarker from BBC’s Casualty, Ashley Walters, Sacha Parkinson from Mr Selfridge and Joel MacCormack, who appeared in Wolf Hall. The series is written by Ed Whitmore and Tracey Malone. The series is being shot in Wales, Wirral, Liverpool and Manchester. 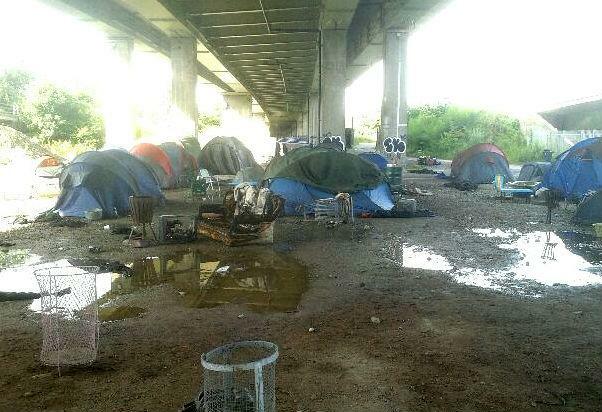 Below Wirral’s Bidston flyover was transformed into a campsite for filming of scenes from the second series of gritty ITV crime drama Safe House. Sure hope there will be someway to get it here in the U.S.
I’m really hoping we will be able to see this show in the states, it looks great! 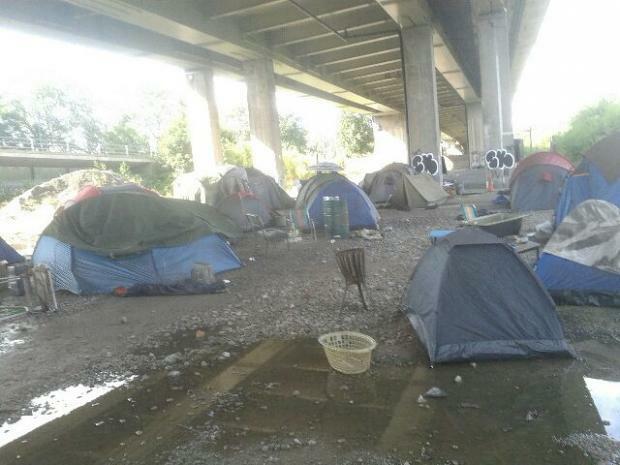 Thanks for all the “Safe House” info and the pictures. I, too, hope we’ll be able to see this series in the States.